Holz-Her presents the CUT 6220 Pressure Beam Saw. 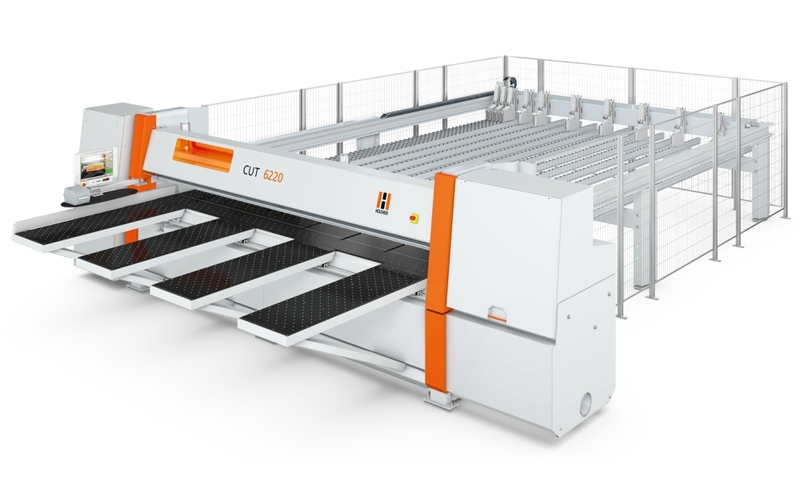 MOORSEVILLE, NC -- With the CUT 6220 pressure beam saw, HOLZ-HER is offering the ideal cutting package for single panels and stack cutting up to 130 mm, with a saw blade projection of 140 mm for high production requirements. The CUT 6220 incorporates precision technology with ground linear prismatic guides and brushless servo-drives as well as the latest generation of PLC controls. Thanks to the high cutting speeds up to 150 meters/min on the saw carriage and the steep acceleration ramps, the brand new HOLZ-HER pressure beam saw achieves the shortest cycle times in addition to an extremely high level of precision. In addition, the automatic cutting length system, controlled via the optimization software minimizes the processing times of all cutting patterns. The CUT 6220 Classic is available in its standard version with a powerful 20 Hp main motor, with options up to an infinitely variable speed controlled 35 Hp main motor. 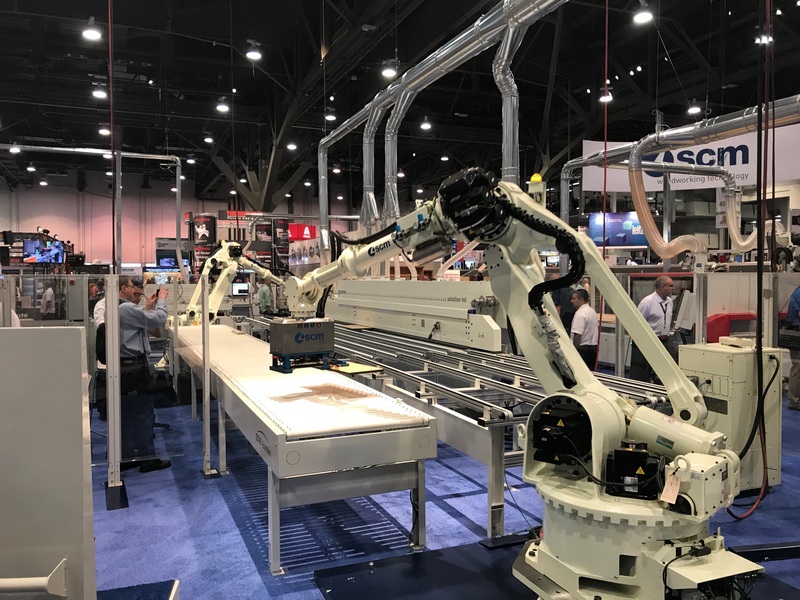 Due to its patent-pending technology, the main saw motor remains in a stationary position during all of the cutting cycles and only the saw blade is precisely and rapidly raised into the cutting position by the use of advanced servo-controls. This improves efficiency, and significantly reduces stress on the entire saw carriage mechanism and drives. 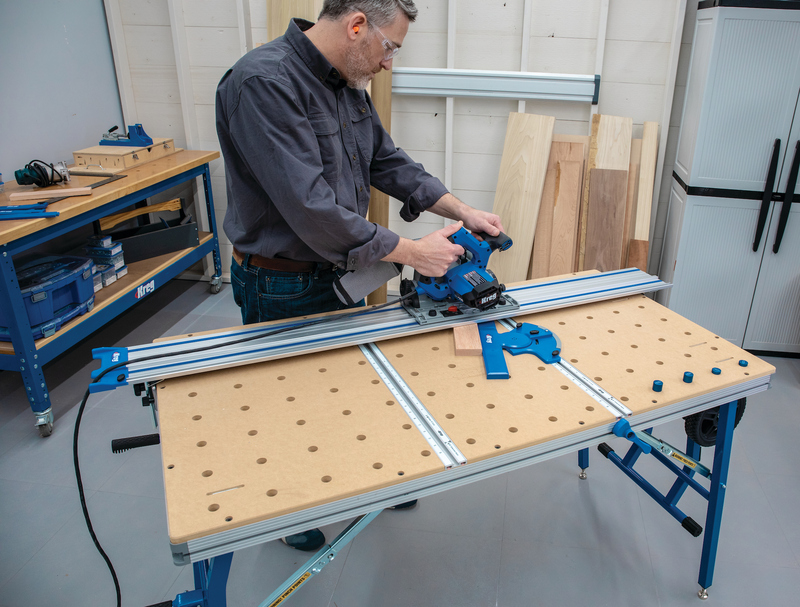 The position-related data of the pre-scoring saw of the CUT 6220 can be stored in the memory of the software and can be re-positioned precisely both for the height and lateral positioning via the two servo-controlled positioning axes. Valuable time is saved in change overs and a perfectly cut product is guaranteed. The bi-directional grooving unit is infinitely adjustable for groove depths up to 105 mm and contributes considerably to the saving of time in the production of wider grooves and bending panels. The side alignment device is preset in position for short cycle times by the software. The pressure force of the rubber coated rollers can - depending on the material - be entered into the control system. A double side alignment unit with two rubber rollers precisely applies pressure on the strips in the cross-section in front of and in the back of the cutting line. In addition to the mechanical precision, an impressive feature of the new pressure beam saw CUT 6220 Classic is the extensive standard equipment which includes the OPTI-CUT software package and the Easy-Plan optimization. Perfected interfaces to intelligent storage and loading systems, with simple data transfer from external and third-party design software, offer the security of a safe future investment.